Saffron is the most expensive spice. The Sanskrit name for saffron points to the ancient Indian area of saffron production: Kashmirajanman or "product of Kashmir". 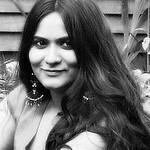 Saffron in some modern Indian languages is called kesar (Hindi) and Kisar (Urdu). The Saffron filaments or threads are actually the dried stigmas of the saffron flower, "Crocus Sativus Linneaus". Each flower contains only three stigmas. These threads must be picked from each flower by hand and more than 75,000 of these flowers are needed to produce just one pound of Saffron filaments making it the world's most precious spice. But, because of saffron's strong coloring power and intense flavor it can be used sparingly. Saffron is used both for its bright orange-yellow color and for its strong, intense flavor and aroma. 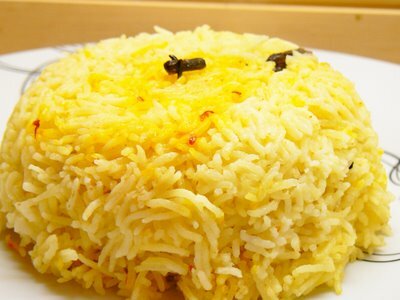 Here is a recipe for cooking Saffron Rice. 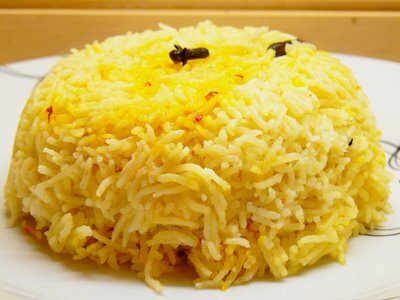 Saffron takes rice from plain to exquisite. The colour, flavor, aroma of saffron rice is just stunning. Cover rice with cold water and set aside to soak for 30 minutes. 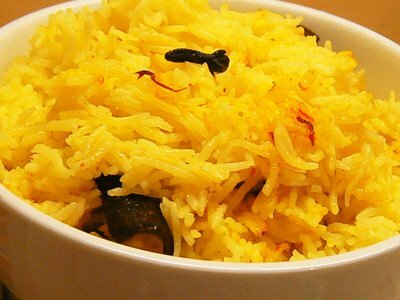 Soak saffron threads in 2 tbsp of milk. Heat Ghee in a large saucepan over medium heat; add cardamom, cloves and cinnamon and fry 2 minutes, stirring occasionally. Drain water and add rice. Stir it at reduced flame for 3-4 minutes. Pour in the milk and boiling water and stir in the salt and saffron. Cover and cook until rice is cooked and all liquid is absorbed. Serve hot with any Curry or Subjis of your choice. There are many ways of making Saffron Rice. Sometimes I use coconut milk in place of milk and add choice of vegetables. Ultimately the end result is always stunning and wonderful. First I thought it is sweet based dish. 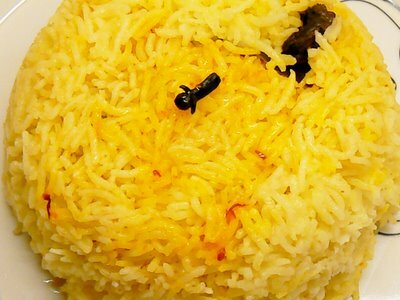 Very rich looking Rice.Thanks for sharing. Very nice looking saffron rice.